Caught the docking of the Cygnus cargo ship SS Rick Husband to the International Space Station, to the earth-facing port on the Unity module. The Orbital ATK OA-6 freighter had been grappled earlier in the day. A bit delayed while they waited for good ku signal. Alignment achieved provided a good RTL configuration. No exercising! Stage 1 done. Stage 2 done. 7700 pounds of cargo and science experiments delivered. Next week, a craft is due from Roscosmos. Then SpaceX in two weeks. 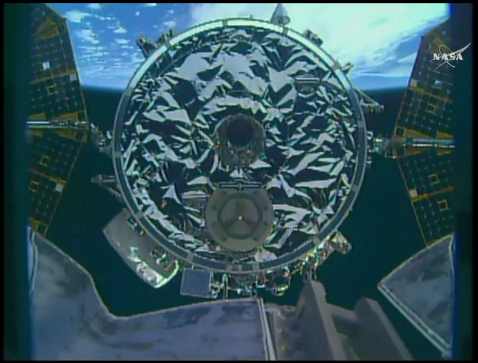 That will mark a first: two US cargo vessels docked to the ISS at the same time.